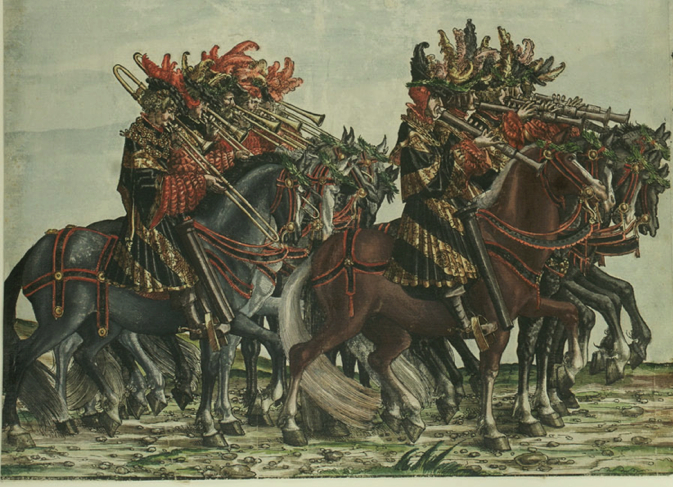 The famous series of woodcuts entitled The Triumph of Maximilian, executed primarily by artist Hans Burgkmair, includes the trombone in four different plates. 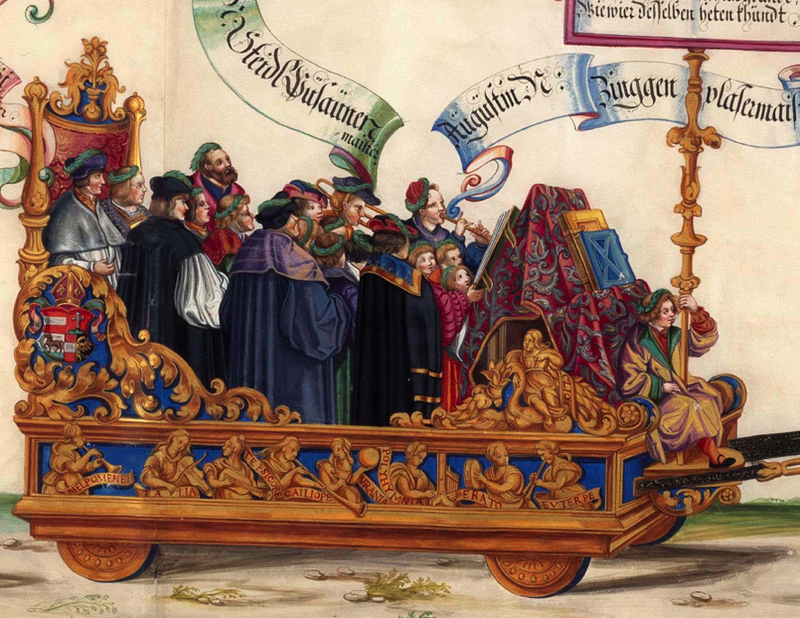 The series depicts an imaginary procession of the court of Emperor Maximilian I (1459-1519), who died before the project was actually completed. 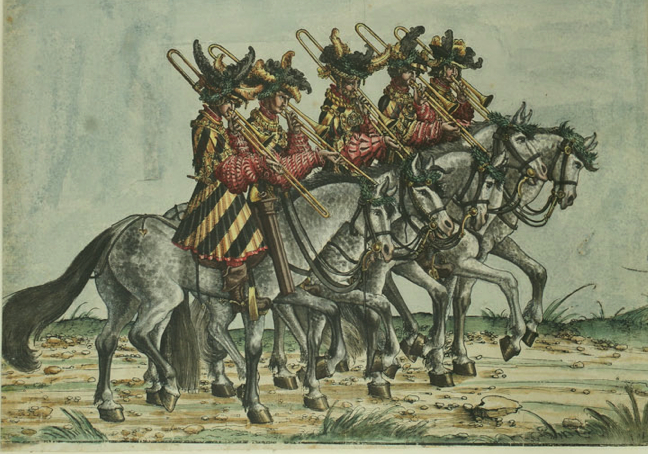 You can read more about the individual entries and instructions for the plates depicting trombones and see the original plates under “1526” in the Trombone History Timeline (16th century). I recently found two more versions of the woodcuts. 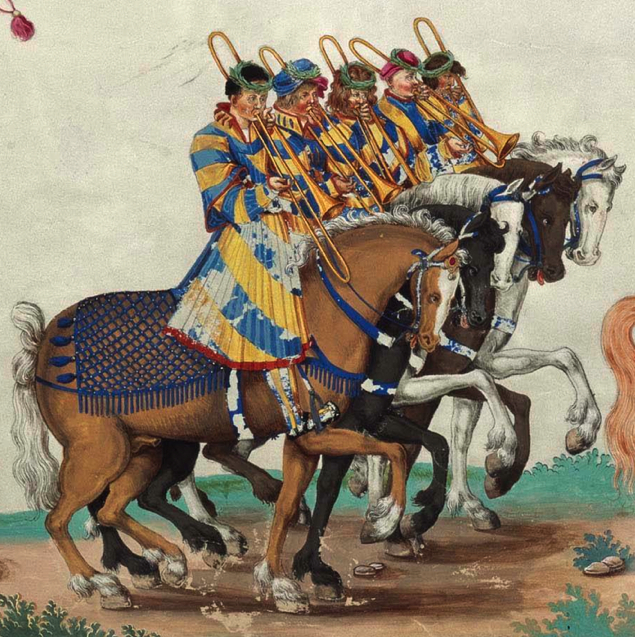 One of them is a set of the original 1526 prints that was hand colored in 1765. 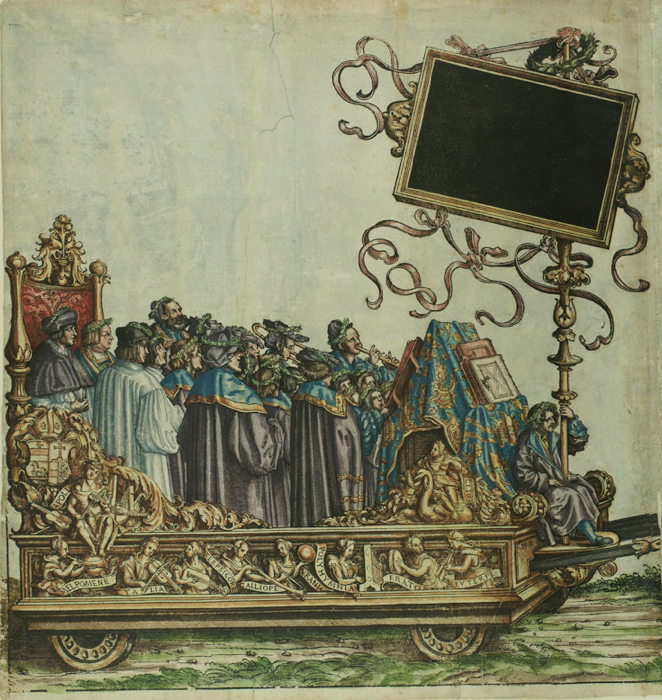 The full set, digitized by the University of Graz in Austria, can be found here. 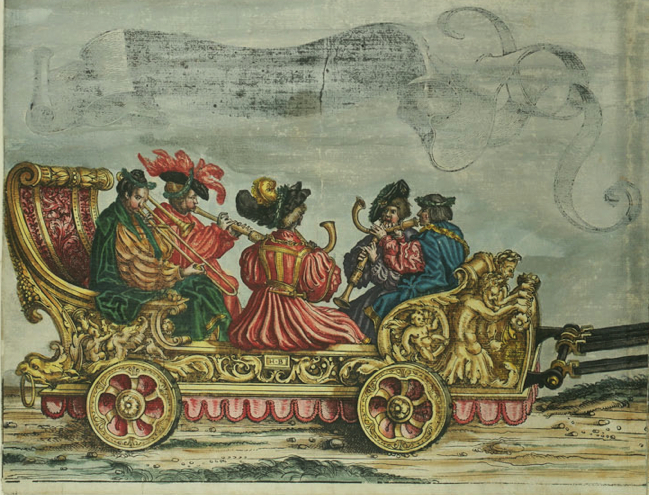 The other version is a Spanish “copy” of the prints, c. 1700. 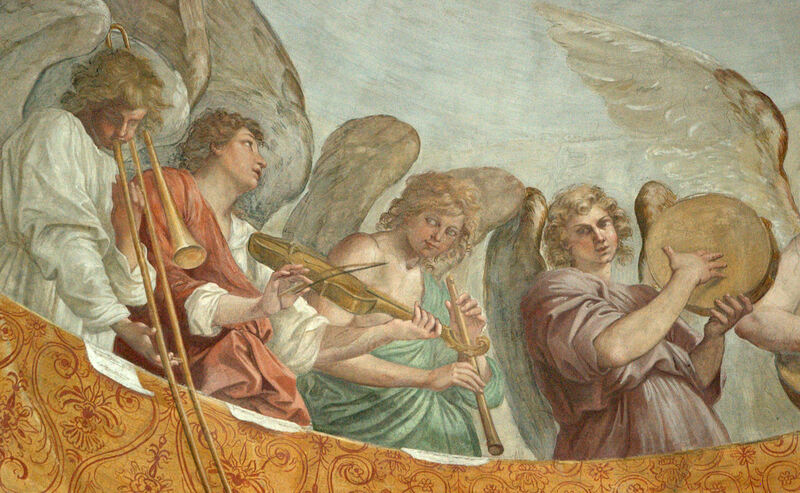 Some of the Spanish images are relatively close copies, while others depart from the original in all but the most general sense. The artist for this version is unknown. An online copy of the full set is hosted by Biblioteca Digital Hispánica here. ← Eat Your Fruit and Veggies, Just Like Mom Said! That’s an all ’round amazingly written blog post! !